Club Fields - Snow Everywhere and Not a Chairlift in Sight! 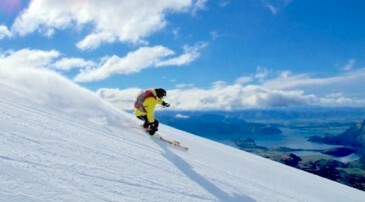 If you have ever done any research into a snow holiday in New Zealand you will probably have heard of the club fields. 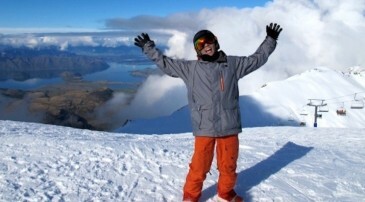 Many people scratch their head at the mention of the clubbies so we here at NZ Snow Tours are here to enlighten you! A club field is a ski area that was founded, developed, and run by ski club members to provide affordable skiing to members. You don’t have to be a member to ski or snowboard there although there are great discounts to those that are. Anyone can join a club field for a small annual payment but if you don't intend on being involved in the community and helping out while you are there then you are probably better off just visiting as a guest. There are work opportunities in summer so if you have the time then you can head up there a few days a year and help with the development and maintenance of the ski area for a reduction in membership fees. There is usually on mountain accommodation that you can stay at for a fairly cheap price. You are expected to help out with chores (anything from cleaning the kitchen or bathrooms to serving dinner) and don't expect 5 star accommodation - dorms are the norm. Other than some on-mountain chalets at Cardrona and Snow Park, club fields provide the only ski-in ski-out accommodation in New Zealand...there are no covered chairlifts departing from the foyer though! There are a number of club fields located all over New Zealand with a couple in the North Island and the rest dotted down the Southern Alps of the South Island. All of the club fields are unique and have their own distinct features so it is well worth visiting a few if you have the time. So read on for our 5 reasons why you should visit a club field this winter!! On any given day at any of the club fields you will be one of only a small number of people on snow. On a powder day you are almost guaranteed freshies all day due to the lack of crowds and the staggered opening of terrain. The terrain is superb, ranging from wide open bowls, steep cliffs, chutes and loads of natural features to play around with. Back country possibilites are endless provided you have all the gear. It is extremely rare to have to wait to get on the ski lifts, and when you do you will be glad of a couple minutes rest! The clubbies are steeped in history and if you have a chat to any of the locals they will happily impart with some interesting knowledge about their particular area. When you see the roads up to the ski areas you will get some idea of the pioneering spirit from which the club fields were born. Even today the fields have limited facilities and resources meaning you may get to witness anything from a ski patroller towing a bbq up the slope behind them on the tows, to a three year old smoking you on the nutcrackers! 3. Make Some New Friends! When you are one of only 30-40 people sking or riding an area it is pretty easy to strike up a conversation and make some new friends. The club fields are frequented by an eclectic bunch of people and they are very friendly to boot. By the end of the day you will be on a first name basis with at least half the people up there! If you have ever known anyone to visit a club field you will have heard of the infamous nutcracker! Invented in 1939 they are now found all over the club fields as they are inexpensive to run and ecologically friendly. The skier or rider wears a harness around their hips to which is attached a clamp. The clamp latches over the rope tow and allows the rope to run through pulley systems as it pulls you up by your waist. They are definitely worth a few laughs around the fireside in the evening!! The nutcrackers do take a bit of mastering so don’t feel bad if you don’t get it straight away. Last year up at Broken River I heard tale of a US Team Burton member who gave up at 2pm after trying all morning to get up! Don’t worry though – I have also seen first timers get up on their first try – no rhyme or reason! 5. 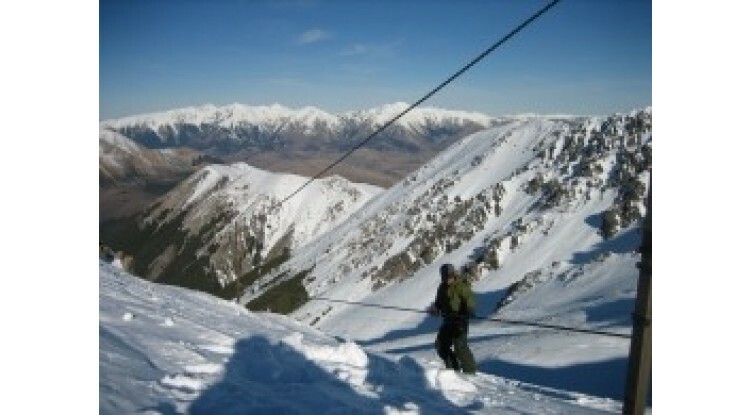 2010 is Gonna be a Great Snow Year in Canterbury! Ken Ring the Moon Man has predicted the heaviest snowfall since 1945 in Christchurch. That's only an hour away from the club fields so we can expect some huge powder days this year in Craigieburn. If you have never heard of Ken Ring, he has been predicting weather years in advance accurately according to moon cycles. He picked last years early snowfall, and if he is right about this year you will not want to miss a trip to the clubbies this year. If you are bored with skiing or riding up and down groomers all day and fancy a bit of a challenge then the clubbies will definitely provide a different experience from any ski trip you have ever done before. If you are a bit nervous about driving on dodgy roads, or don't fancy sharing a room with ten other people then our Craigieburn Adventure is a great way to check out some of the best ski areas in New Zealand. With a max of 6 people on each trip and AWESOME private accommodation you can experience the Canterbury club fields in style. Either way, whether you decide to take a tour, or do it alone, a snow trip to any New Zealand club field will be an unforgettable adventure you will talk about for a long time to come! Hope to see you all there, if you see us around come and say hi! !